Because they’re most perfect for winter (hello, 27 degrees this morning! ), because they’re freaking delicious and because I had a Groupon for some Ciao Bella burning a hole in my pocket -- it’s Alexander Week over here at the Five O’Clock Cocktail Blog! For those who don’t know, an Alexander is a genus of cocktail that employs a primary liquor, creme de cacao liqueur (white or dark) and light or heavy cream ICE CREAM!! Yes, damn it, here at the blog -- unlike every cocktail recipe book you might come across -- we do it with ice cream. With rare exceptions, drinking cream not-in-coffee doesn’t sit well with me. It’s like having chicken for breakfast. (I mean, I suppose I could, I just don’t ever want to.) It makes me picture those annoying cream thimbles you get at McDonald’s, and frankly, I can’t see why I’d ever want cream-cream when I could have ice cream instead. 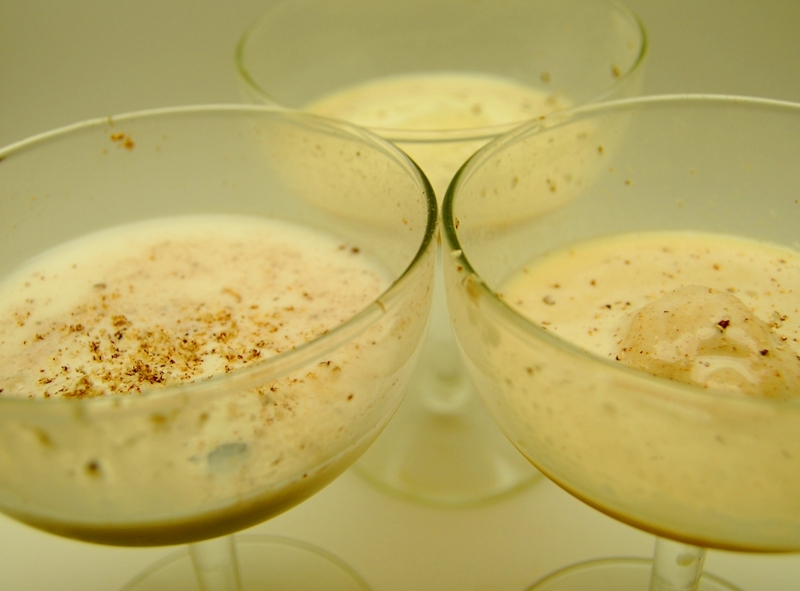 Kicking off Alexander Week is the most well-known Alexander, the Brandy Alexander. We'll get to the original Alexander (you'll likely be surprised what's in it!) and others old-fashioned and newfangled later on in the week. 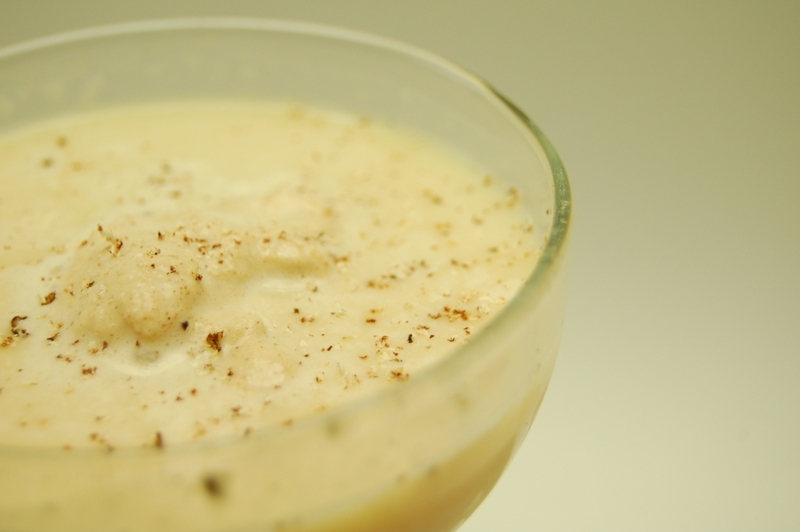 Pour brandy and creme de cacao into ice-filled cocktail shaker. Add 1 1/4 ounces of gelato. Shake vigorously. Strain into chilled cocktail glass. Float a rounded spoonful of gelato in the middle of the glass. Grate fresh nutmeg on top. 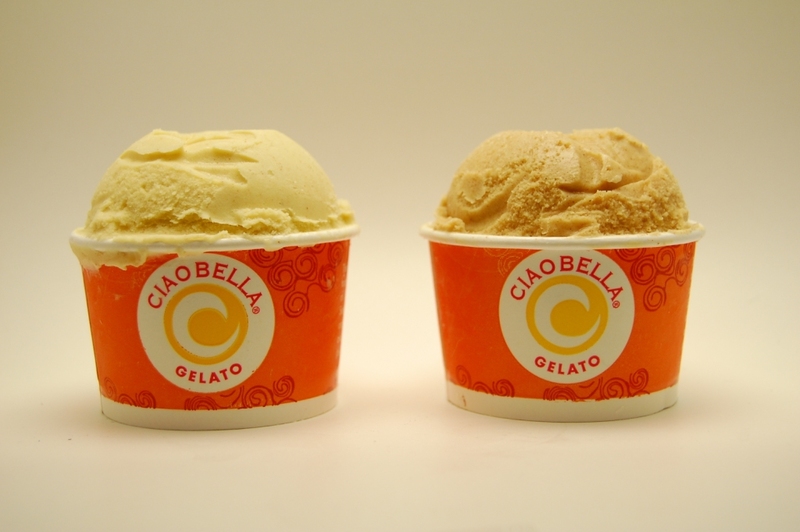 Cinnamon gelato struck our fancy for pairing with brandy. What's yours? Experiment!